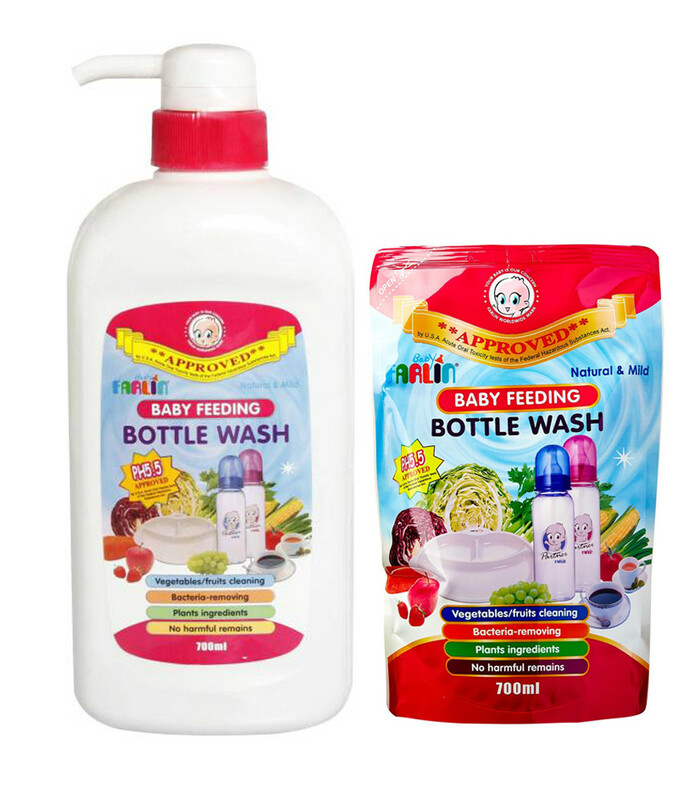 This bottle wash is formulated with plant extracts, it is safe for use and ensures your little one is not harmed. Cleaning your baby’s bottles is essential, as feeding bottles are something which are used on a daily basis. Get this Farlin Feeding Bottle Wash to keep your little one’s bottles clean and free of germs. Formulated with food-grade natural plants this is mild and non-irritable which are soft on your hands. Cleaning your baby's bottles is essential, as feeding bottles are something which are used on a daily basis and Also for cleaning vegetables, fruits, toys and tablewares, etc.